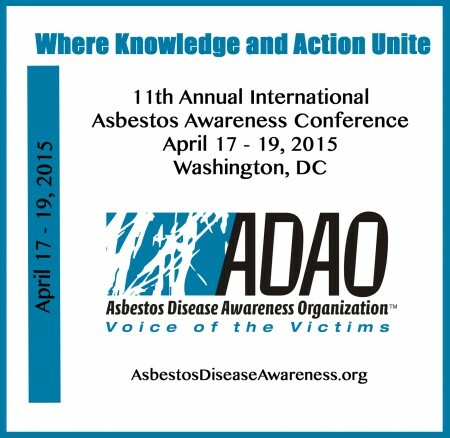 The Asbestos Disease Awareness Organization (ADAO) is excited to launch our 11th Annual International Asbestos Conference, “Where Knowledge and Action Unite” taking place this April 17-19th 2015 at the Crystal Gateway Marriot in Washington D.C. If you haven’t been to an ADAO conference before, this is the one not to miss! More than 30 renowned experts and asbestos victims from ten countries will present the latest advancements in disease prevention, global advocacy, and treatment for mesothelioma and other asbestos-caused diseases. Patients and families will also look back at our accomplishments over the past eleven years and ban together in hope for a future free from asbestos disease. ADAO is the only U.S. nonprofit that organizes annual conferences dedicated to preventing and eliminating asbestos-caused diseases. Click here to see what we did last year and share our 2014 Conference Video Presentations including a keynote presentation by Rear Admiral Boris Lushniak, Acting U.S. Surgeon General. Crystal Gateway Marriott, 1700 Jefferson Davis Highway, Arlington, VA 22202. Note: We have a limited number of highly discounted rooms at the conference hotel, which is the Crystal Gateway Marriott in Arlington, VA. In order to receive the reduced ADAO group rate of $134.00 plus taxes, reservations must be made by either, online or by calling 1-877-212-5752. Other methods or Marriott numbers will not guarantee the group rate! American Public Health Association (APHA) will receive the Tribute of Unity Award for their relentless efforts, both nationally and internationally, to protect public health, ban asbestos, and increase public awareness about the danger of asbestos. International Mesothelioma Interest Group (iMig) will be presented with the Tribute of Hope Award for their steadfast commitment to advancing mesothelioma treatment, research for a cure, and patient support. The Brazilian Labour Public Ministry will be presented with the Tribute of Inspiration Award for their untiring efforts to protect workers’ safety and health at the workplaces and pursuit of truth and justice for the asbestos workers and victims. Dr. Jorma Rantanen will be recognized with the Dr. Irving Selikoff Lifetime Achievement Award in honor of his tireless dedication to increasing awareness about asbestos to eliminate diseases. Troi Atkinson, a mesothelioma patient, will be honored with the Warren Zevon “Keep me in Your Heart” Award for being an ADAO Ambassador to increase asbestos and mesothelioma awareness. Congressman Bruce Vento will be honored posthumously with the 2014 Warren Zevon “Keep me in Your Heart” Memorial Tribute for his countless years of public service as a legislator and public servant. Ellen Patton, a mesothelioma patient, will be recognized with the Alan Reinstein Award for her commitment to education, advocacy, and support to countless patients and families. ADAO is extremely grateful to our 2015 Official Sponsors, especially our Platinum Sponsors Motley Rice LLC and the Simmons Hanly Conroy LLC, whose support makes this event possible. We also send a special thanks to our Gold Sponsor Simon Greenstone Panatier Bartlett, P.C, Silver Sponsor Early, Lucarelli, Sweeney and Meisenkothen and our Individual Donors! Dr. John Wheeler, Associate Director for Science at CDC/ATSDR.  Asbestos Disease Awareness Organization reserves the right to decline registrations. ADAO is also deeply grateful to our Science Advisory Board, ADAO Leadership, and Volunteers who are committed to making the 11th Annual Conference the best yet. Stay tuned for more conference details to come and be sure to register by April 1, 2015!! Thank you for all your handwork, and of course, your continued support.